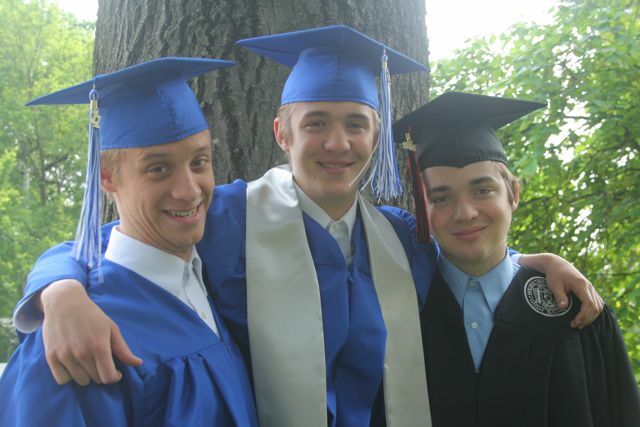 Our triplets graduated from high school this May! All with wonderful grades. We’re so proud of them. Two are leaving in the fall. Our nest won’t be emptying exactly, because two will stay with us: our daughter who is 23 lives at home and works, and one of the triplets will live at home and go to the community college. But they’re all adults now, and I’m not going to be doing much mothering. I’ll always do some, I suppose!